I would say the whole deal was very amazing. 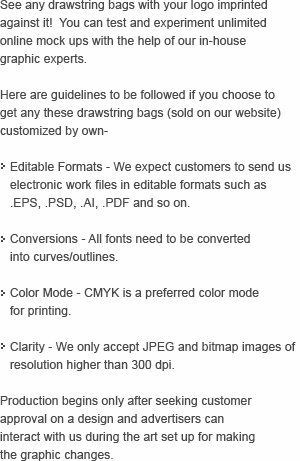 We plan to hand polypropylene bags purchased from you out as a compliment with Memorial Day supplies. And we're sure to make impressions on the go. I need help with artwork- Can you help us? Yes, we can. You can write to us or get in touch with us at or call us at 855-218-2247. We offer free design - at absolutely zero hidden fees. How are products shipped and how are charges decided? We offer free ground shipping on most printed orders! 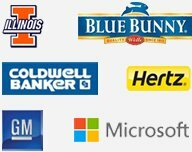 Customers can also avail benefits of FEDEX 2 day shipping and Standard Overnight shipping. Have you got bored of same routine promotional stuff? Then you should get ready for a bigger exposure at same investment. Grab this custom pennant polyester drawstring backpack! This backpack strikes with its indulging color profile (featuring opposite colored panels), purpose and style. Marketers targeting travelers, college going students, outdoorsy persons and others can easily employ this drawstring backpack for value building. They can stay assured that customers/clients are going to react positively towards their efforts. 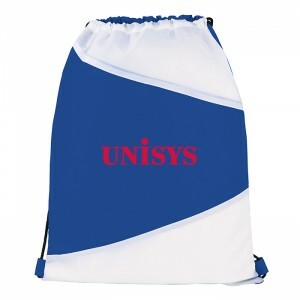 Request a quote to know bulk order discounts that you may avail on these personalized pennant polyester drawstring backpack. Features – Use drawstring rope closure to open main compartment. Back panel is opposite color blocking as the front panel. 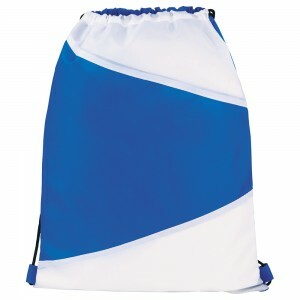 Item Size - 17" H x 12.5" W x 0" L.
Imprint Area- 4" H x 7" W.
Available Color : White/Royal Blue.